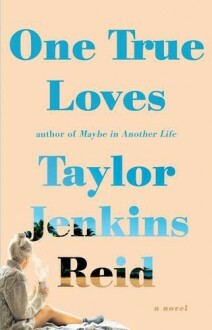 From the author of Maybe in Another Life—named a People Magazine pick and a "Best Book of the Summer" by Glamour and USA TODAY—comes a breathtaking new love story about a woman unexpectedly forced to choose between the husband she has long thought dead and the fiancé who has finally brought her back to life.In her twenties, Emma Blair marries her high school sweetheart, Jesse. They build a life for themselves, far away from the expectations of their parents and the people of their hometown in Massachusetts. They travel the world together, living life to the fullest and seizing every opportunity for adventure. On their first wedding anniversary, Jesse is on a helicopter over the Pacific when it goes missing. Just like that, Jesse is gone forever. Emma quits her job and moves home in an effort to put her life back together. Years later, now in her thirties, Emma runs into an old friend, Sam, and finds herself falling in love again. When Emma and Sam get engaged, it feels like Emma’s second chance at happiness. That is, until Jesse is found. He’s alive, and he’s been trying all these years to come home to her. With a husband and a fiancé, Emma has to now figure out who she is and what she wants, while trying to protect the ones she loves. Who is her one true love? What does it mean to love truly? Emma knows she has to listen to her heart. She’s just not sure what it’s saying.